The information presented on this site is mostly sourced from other parties and is presented here in good faith. While we do our best to correct errors, we will not be held responsible for any errors or omissions or the consequences that arise from them. When displaying maps on this site, the are not guaranteed to show the exact location of the event (we generally try to show where the start is). Sometimes we are not given location information so we can only show a general approximation based on what we can find. Also, we might not have been informed of a change of location (or, for that matter, a change of date). 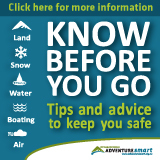 When travelling to an event, use the information provided by the race organiser. We don't claim to have total control over our users; as such we will not take responsibility for any user-contributed content. We do moderate our forums so if anything bothers you please notify us so we can investigate. We reserve the right to edit or remove posts from the discussion forums if they are deemed by us to be inappropriate or offensive (see our forum rules for further information), or if another user reports one or more posts as being offensive. We also reserve the right to restrict or deny access to users who misbehave excessively.